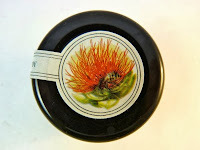 Today was Day #6 of Chocolate and Honey Theme Week. I loved taking a chocolate field trip to Hawaii earlier this year. I found some delicious items at local farmers markets there, thanks to friends who farm Kona coffee and fruit there. 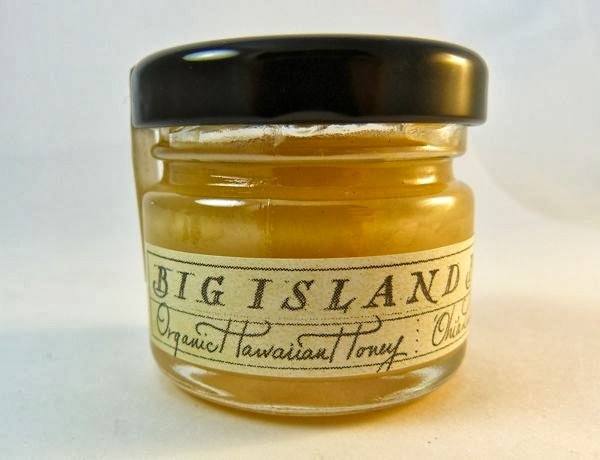 One sweet discovery: Big Island Bees (Kealakekua, HI) and their three single source (single flower origin) honeys. 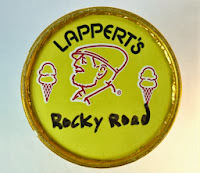 I've been making smaller portioned desserts in shotglasses this year. 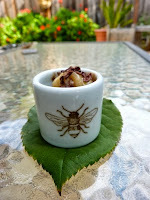 This afternoon I found a bee-themed sake cup that was just the right size for a micro-ice cream, Hawaiian-themed sundae. I started with a 1 oz. 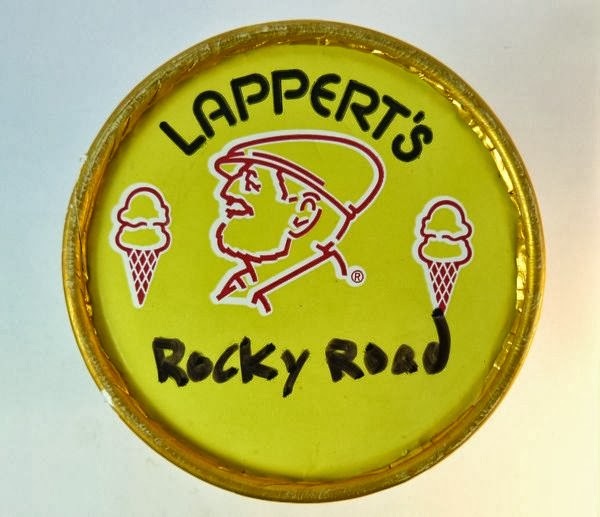 (28 g.) scoop of Rocky Road ice cream from Lappert's Ice Cream (from the mainland, Sausalito, CA, store). I added a dab of Ohi'a Lehua Blossom (a spiky, reddish flower) organic, raw honey from Big Island Bees; and topped this tiny sundae with Hawaiian cocoa nibs.